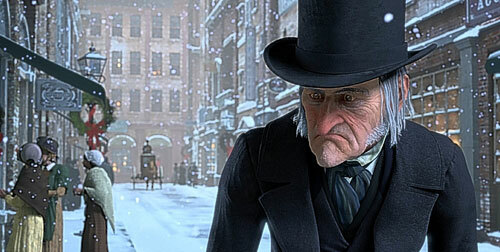 Everyone has an inner Ebenezer Scrooge. You know the guy in A Christmas Carol by Charles Dickens? And it's such an excellent story of personal transformation. If folks know the story, they often focus on his identity early in the story. If someone's being miserly (what a great word!) we call him a Scrooge! It's true that ol' Eb was the perfect example of Scarcity mindset. It's that state of saving, scrimping, hoarding, and withholding. In the story, Ebenezer did this with money as a metaphor for his whole life. He couldn't even hook up Bob Cratchit with an extra lump of coal to warm his office, which expressed his lack of empathy. "My office is warm enough!" said Scrooge, totally oblivious to Bob's request for compassion about his own condition. Ebenezer had a lot of money and over the years became completely focused on that and only that to the point that his humanity took a major nosedive. YEAHHHHHHH. A poignant story for times such as these, eh? But Ebenezer had a huge breakthrough! He completely transformed! He literally hurled out generosity and compassion and material wealth into the streets of his local community. How often do we celebrate a story like that?! Not too often. And I think I know why. Because everyone has an inner Ebenezer. It's called our ego. It's the thing inside us that focuses only on what we don't have instead of what we do have. We can have so much abundance and wealth in so many different forms and yet, what do we do with our time? Gripe about what others are doing with their lives. Compare ourselves and what we have or who we are to other people. Distract ourselves with an endless list of things and post things like, "I can't even," and "omg it's Monday again?!" and "is it wine o'clock yet?" and, well, you can fill in the rest. There's a lot of scarcity all around and it's more apparent to someone like me or you, if you have experienced significant loss and tremendous change in your life. The great teachers say that the deeper our spiritual transformation, often brought on by trauma or tragedy, the more clearly we see the world as we never did before. And what we see reveals the truth about what matters and what doesn't. That new lens is the silver lining to the clouds of difficult times. But until you get there (and often even when you do), people are kind of caught in the matrix of striving and competing and struggling toward something and the result is never feeling like anything or anyone is good enough. You don't appreciate what you have and keep focusing on what's wrong because it feeds that feeling of not having enough. We think if we can fix it (whatever IT IS) then, FINALLY THEN, we can sit and relax. It's a hamster wheel and the Buddhists call it samsara. I wanted to call it the Ebenezer Effect but others got to that phrase first and mean something different by it. The Ebenezer in everyone is all over social media and it's in our daily lives with the people we know and work with and hang out with. Whenever you notice someone who really does have plenty complaining or worrying or focusing on what isn't there or what isn't going right or not happening, that's the inner Ebenezer. And then what happened to him? What's possible for all of us? He saw it. He got it. He had the epiphany. With the help of the Ghosts of Christmas Past, Present and Future, Ebenezer realized that all the loss he'd experienced and the pain and fear he felt had hardened him into a miserly person who struggled to give and receive love, kindness, and generosity. If he stayed on that path, he was destined to die alone with nothing but his money. Did you hear that some people are so poor, all they have is wealth? That's another blog post for another time. But that was Ebenezer's fate and he realized it and saw that all the things or money wasn't worth what he was missing out on every day in his life. The ability to help Bob Cratchit and Tiny Tim or hang with his loving nephew and give money to the poor. He woke up and felt so grateful to still be alive, he changed his whole mindset. He celebrated his wealth and wanted to share it to expand the reach of it. He had the major catharsis that as long as he was alive, he had ONE MORE CHANCE to be the person he wanted to be as best he could. And the best part of this story? As long as you're reading this right now, you have the same opportunity. That potential Ebenezer is in everyone. I surround myself with a lot of folks who are into health, wellness and spirituality so I see a lot of people talk about bliss. They mention being "blissed out" or "in the flow". I've known bliss a few times in my life. It is fleeting, not the kind of thing that is a permanent feeling. I don't know that humans can achieve a constant state of bliss--maybe it's possible, but I haven't had it happen to me. But it is pretty awesome when it does happen. Now that I've experienced it more often recently, I want to tell you how bliss feels. Or how it feels to me. You may have read my post about meeting Pema Chödrön last year. It was a life-changing moment for me, one of those, "I can die happy now" experiences. Sitting in the same room with her was already cool enough but I actually got to stand at the microphone and engage in conversation with her. Truly extraordinary. And I have it recorded on DVD to watch whenever I want to remind myself of that moment! If you want to buy that retreat on MP3 or DVD, you can click here. 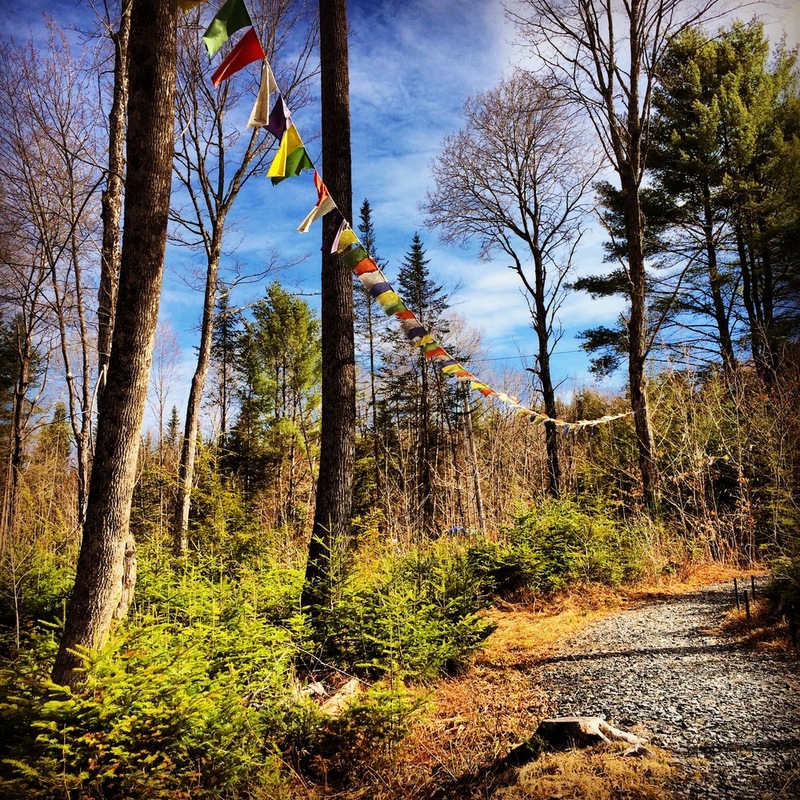 Well, I decided to return to the Pema Osel Do Ngak Choling in Vershire, VT, this year for some much-needed time away. It wasn't enough time, I can tell you that much, but it was valuable for what it was. I got to see people I had met last year and felt the feelings of overwhelm and pure gratitude when they recognized me. It was equally weird and comforting. I have this weird story in my head that I move through the world relatively invisible--and if I wasn't already addressing the origins of that silly myth, I am doing so more deliberately now. These people remembered me as much as I remembered them. It was intimate and beautiful. We were led in teaching and conversation by the Buddhist author and teacher, Elizabeth Mattis Namgyel on the topic of the Middle Way. We began the instruction each day by sitting for 30 minutes in silent meditation. I was really looking forward to this because I have hard time making time for this each day in my own life--I find it easier when people structure it for me. I can't speak about the sitting part without talking about my hips. Of late, I've noticed a growing tension and inflexibility in my hips and legs. I desperately need to address it because it is affecting movement and sitting for meditation. I've tried stretching but need to do more of it more often, I think. Is there an area on your body causing this sort of experience for you? After the second painful sitting experience, I moved to a chair. I was tired, no doubt about it. I've been burning the candle at both ends and it was catching up to me as I sat there. My eyes began to get very heavy but rather than fight and try to keep my eyes open, I let the sleepy be a part of my sitting. It was part of it, not wrong or unwelcome or bad but just there. But I didn't fall asleep. I sort of dozed or drifted in and out. I wasn't blaming myself or feeling badly about my eyes being closed. I was present to those thoughts but didn't get consumed by them. And then, I decided to open my eyes for a second. It felt like someone poured soothing hot water through my veins. Every muscle was relaxed. My stomach, which is often clenched, was soft. My throat was loose. I could feel every muscle in my face had softened. My heart was beating slowly, but my mind was clear and then I had this thought, "oh my goodness. This feels sublime." I don't do drugs--is this maybe what it feels like? I'm not sure. But if I can achieve that with nothing but my own breathing and mindfulness and some sleepiness--sign me up for more! The only other time I felt this way was when I fell in love for the first time. I don't think my feet touched the ground for a few weeks back then. This time it was a minute of total bliss, physically and then mentally once I was aware of it. And just like that, in one second, it was gone. I tried to cling to it and make it last and then closed my eyes again because I realized I was grasping. I drifted in and out like this a few more times to recapture that mellow, blissed-out feeling. It worked and amazed me. And it's powerful and wonderful to know I can achieve it anytime I want! You can listen to more about how to get to this state ("shamatha") by clicking here. More and more I am finding I can achieve moments of bliss off the cushion, too. I find it harder to do now than when I was younger. Life stressors have increased and self-consciousness is more present some days more than others, but I know it's possible. I find that same feeling of bliss in the company of friends, doing work I love and those precious moments when I am about to fall asleep after a long, amazing day. Is this something you want to try or experience? Is it something you know well?